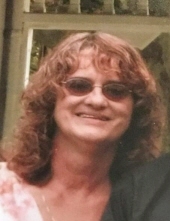 Flossie E. Flint, 67 of Perry passed away on Saturday March 30, 2019 at home after a courageous battle with cancer surrounded by her family. Flossie was born in Warsaw, NY on July 17, 1951 a daughter to the late Lorne A. and Blanche (Earl) Bennett. She worked for over 26 years for the former Champion Products in Perry, a proof reader for the Perry Shopper and retired from JN White Designs in Perry. She was a member of the Christian Motorcycle Association. Flossie was a volunteer for the Community Clothes closet in Perry for several years. She enjoyed riding motorcycle with her loving husband, collecting dolls, crocheting, going to yard sales, or just spending time with her children, grandchildren, friends and her dogs. She is survived by her husband: Elbert “Al” Flint whom she married on August 19, 1972, four children: Wesley Flint of Mt. Morris, Stefanie (Elias Tepexpa) Flint of Perry, Elbert “Chopper” (Kate) Flint of Batavia, Denise McIntyre of Perry ( whom she considered as a daughter), 2 sisters: Joanne (Norman) Kibler of Perry, Lisa (Duane) Beals of Hermitage, 4 brothers: Sidney (Laurie) Bennett of Batavia, Lloyd Bennett of Perry, Dennis Bennett of Perry, Marshall (Dawn) Bennett of Detroit, MI, 7 grandchildren: Michael and Brandon Flint, Tamber and Chelsea Reed, Aleaha, Tristan and Jordan Flint, 3 great grandchildren: Peyten Nearhood, Reyanna Sol and Nihdalia Garcia, along with many nieces, nephews and friends. Along with her parents she is preceded in death by 2 brothers: Lorne “Larry” and Owen Charles Bennett. Family and friends may call from 2-6pm on Wednesday April 3rd at the Eaton-Watson Funeral Home, LLC. 98 North Main St. in Perry where services will follow at 6pm. Memorial contributions can be made to the American Cancer Association P.O. Box 22478 Oklahoma City, Oklahoma 73123. To send flowers or a remembrance gift to the family of Flossie E. Flint, please visit our Tribute Store. "Email Address" would like to share the life celebration of Flossie E. Flint. Click on the "link" to go to share a favorite memory or leave a condolence message for the family.